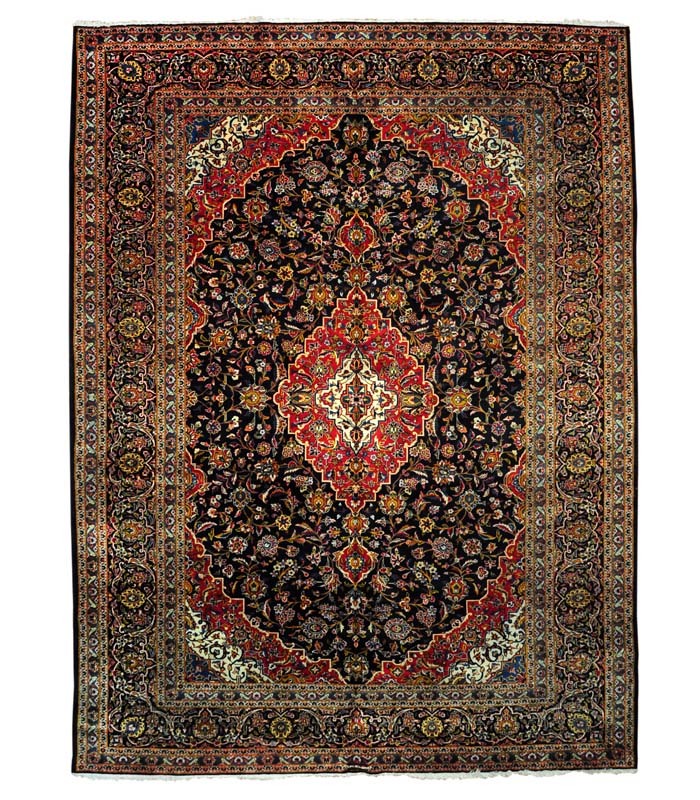 Persian hand knotted wool rug in classic jewel tones. Mansion size. Please call 1-866-860-1710 and talk with a sales representative at anytime. 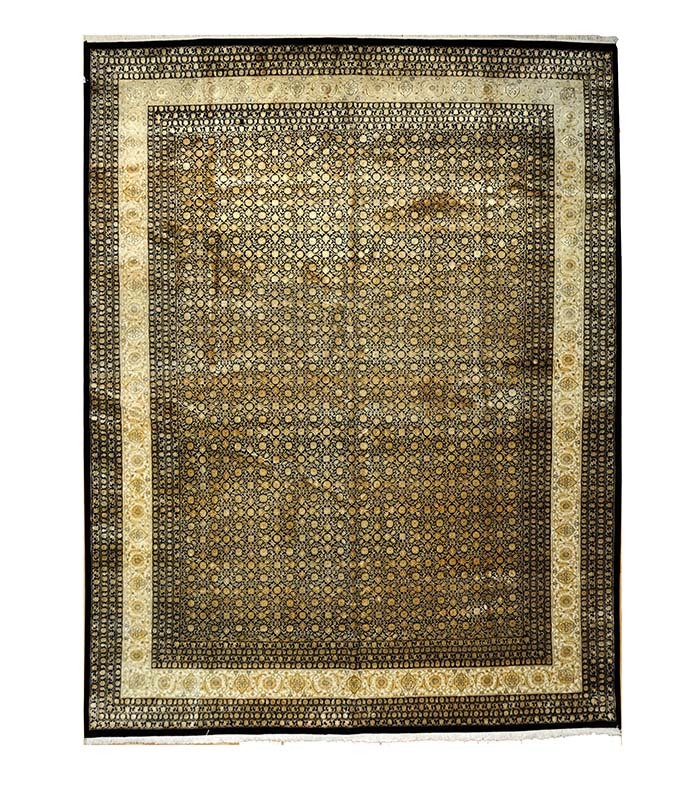 Hand knotted wool and silk in rich black, ivory and taupe. Please call 1-866-860-1710 and talk with a sales representative at anytime. 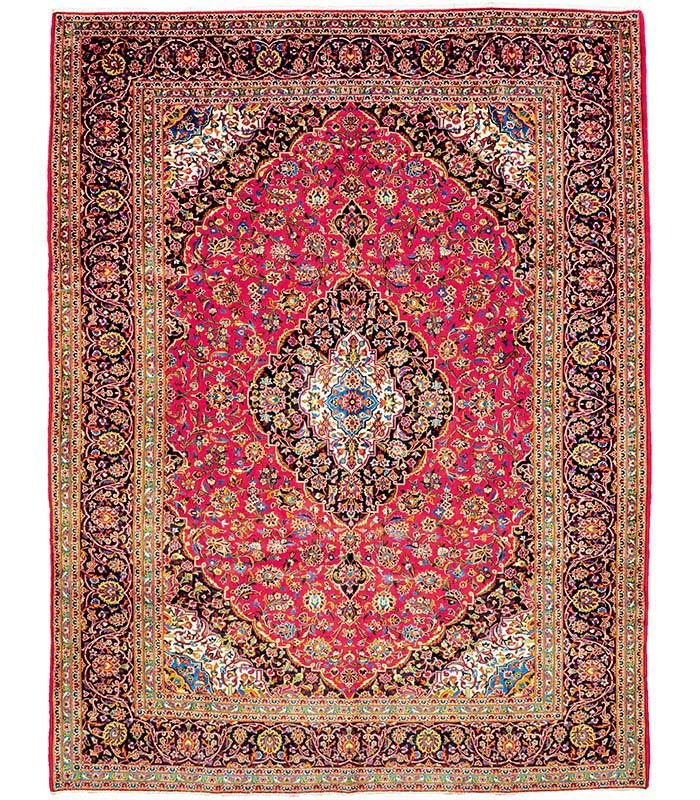 Persian rug hand knotted wool in classic jewel tone colors Please call 1-866-860-1710 and talk with a sales representative at anytime. 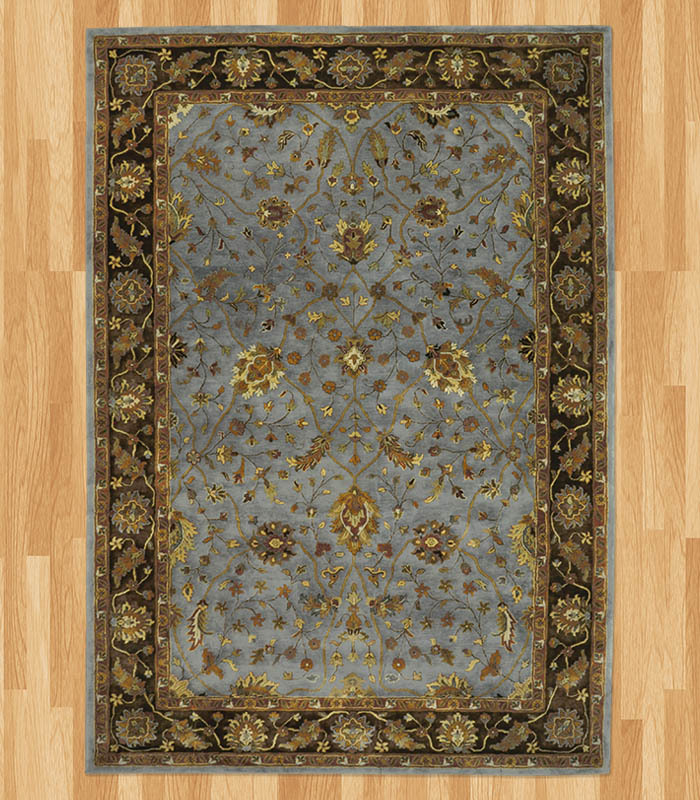 Hand tufted wool rug in a medium blue with gold and several shades of brown. Please call 1-866-860-1710 and talk with a sales representative at anytime. 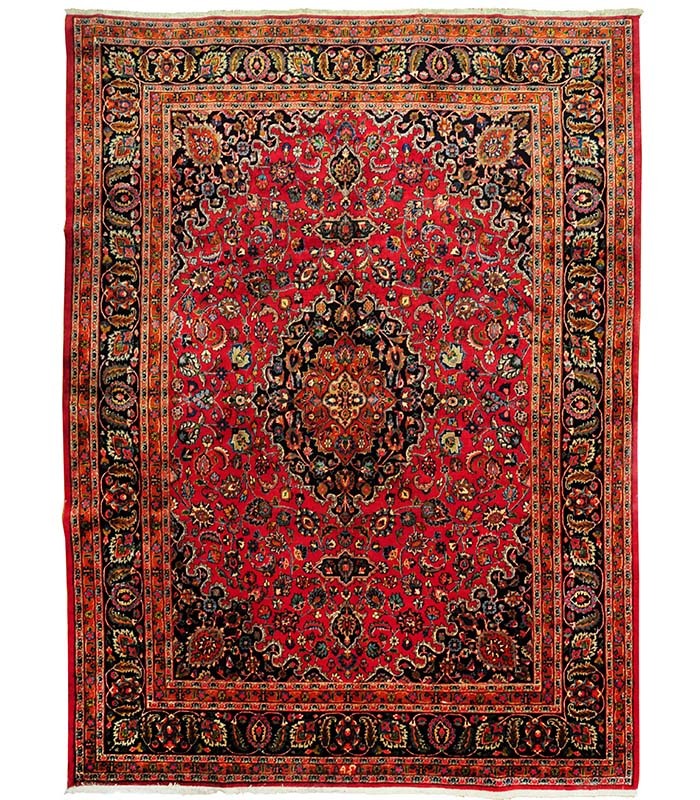 Semi antique Persian hand knotted wool rug with red and navy with ivory accents. This rug is an odd size of 9.8 x 13. Please call 1-866-860-1710 and talk with a sales representative at anytime.